Metathesis – plant for aroma chemicals production, U.S.A.
Scaling-up the pilot plant to production scale was a particular challenge. Furthermore, the planning had to comply with US standards. The project was implemented using local contractors for a site in South Carolina, USA. By means of a sophisticated chemical process, the ring is opened catalytically at fixed-bed reactors in order to produce a macrocyclic musk scent. 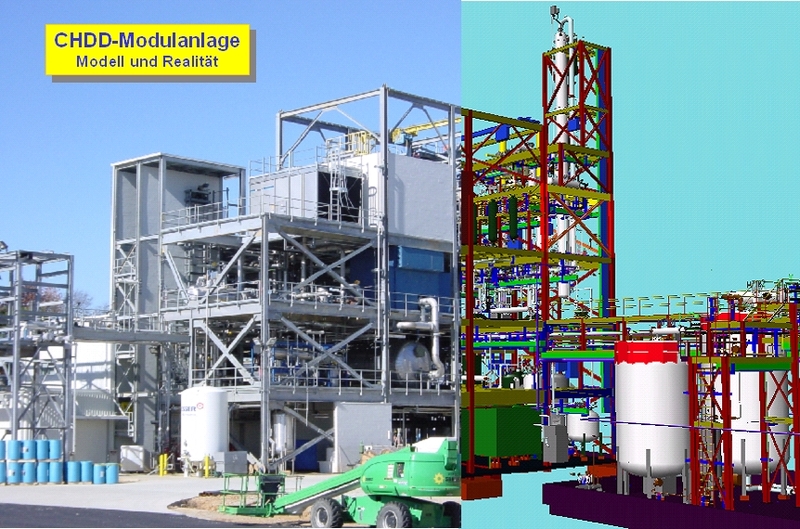 The scope of planning included the tank farm, the solvent recovery with evaporator and vapour compression, the large-scale solution for regenerating the catalyst as well as the cleaning of the raw product by distillation.